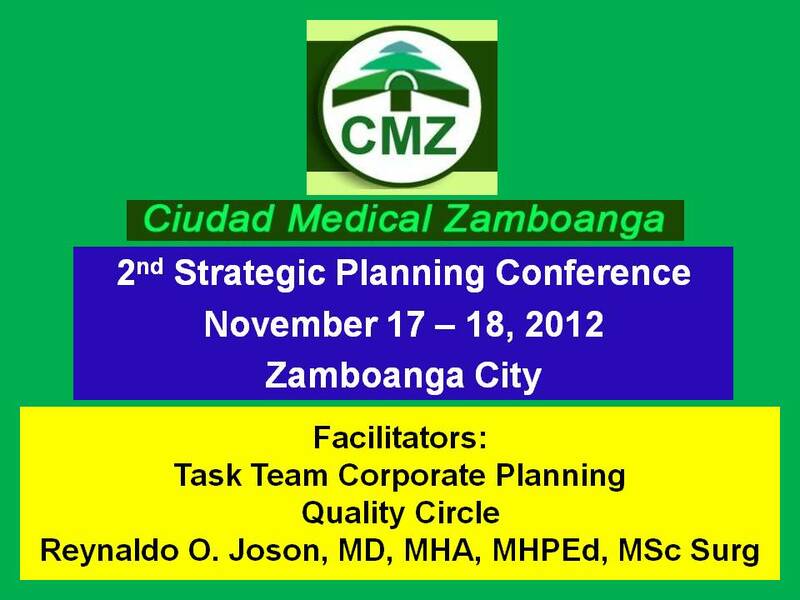 I have accepted a request to facilitate the 2nd strategic planning conference of Ciudad Medical Zamboanga on November 17 – 18, 2012. I have to prepare for this. This entry was posted in Ciudad Medical Zamboanga, ROJ Consultancy in Hospital Administration, Strategic Planning. Bookmark the permalink.